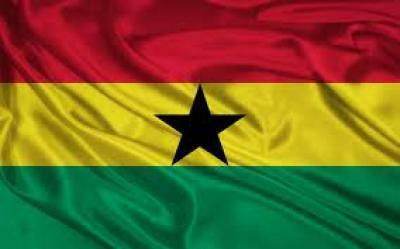 Ghana, is a west African country, bounded on the north by Burkina Faso, on the east by Togo, on the south by the Atlantic Ocean,and on the west by Côte d’Ivoire. Formerly a British colony known as the Gold Coast, was led to independence by Dr. Kwame Nkrumah on the 6th of March, 1957. Ghana became the first black nation in sub-Saharan Africa to achieve independence from colonial rule. In 2000 the estimated population of Ghana was 23,837,000 (females-51%, males 49), giving the country an overall population density of 78 persons per sq km (201 per sq mi). The most densely populated parts of the country are the coastal areas, the Ashanti region, and the two principal cities, Accra and Kumasi. Accra, the capital, has a population (1996 estimate, greater city) of 1.7 million. Kumasi is the capital of the Ashanti region. Sekondi has an artificial harbor and was the first modern port built in Ghana. Other major cities include Tema, Tamale, and Cape Coast. People living in urban areas account for 37 percent of the population. focus of the country’s railroad system, including a link to nearby Tema,which since 1962 has served as the city’s deepwater port. Industries include vehicle and appliance assembly, petroleum refining, and the manufacture of foodstuffs, textiles, metal and wood products, plastics, and pharmaceuticals. A sprawling city, Accra presents a varied appearance, with buildings of modern, colonial, and traditional African architecture. Of note here are the 17th-century Christiansborg Castle, now the residence of the chief of state, and the National Museum (1957). Several research and technical institutes are located in Accra, and the University of Ghana (1948) is in the nearby town of Legon. The site of what is now Accra was occupied by villages of the Ga, the local people, when the Portuguese first visited here in the late 15th century. During the 17th century the Portuguese were forced to withdraw by the Dutch, who, along with the Danes and the English, founded rival trading posts, which became the settlements of Ussher Town, Christiansborg, and James Town, respectively. In the 19th century Britain purchased Dutch and Danish rights in the area, and in 1876 Christiansborg was made the capital of the Gold Coast Colony. The three separate towns grew and gradually coalesced to form the city of Accra. Much of the modern city’s layout was planned in the 1920s, and since then growth has been rapid. Accra remained the capital city, when in 1957 the Gold Coast Colony became the independent state of Ghana. Population (1990 estimate) 953,500. English is the official language of Ghana and is universally used in schools in addition to nine other local languages.The most widely spoken local languages are, Ga, Dagomba, Akan and Ewe. Traditional religions accounts for two-fifths of the population. The Christian population also accounts for two-fifths of the total population and includes Roman Catholics, Baptist, Protestants, etc. The Muslim population (12 percent of the total) is located chiefly in the northern part of the country. Primary and secondary education is free and compulsory in Ghana between the ages of 6 and 14. In 1996, 76 percent of primary school-aged children were enrolled in school. Secondary schools enrolled just 31 percent of the appropriately aged children. Vocational and teacher-training institutions had 38,000 students. Higher education is provided by the University of Ghana (1948), in Legon (near Accra); the Kwame Nkrumah University of Science and Technology (1951), in Kumasi; the University of Cape Coast (1962); and the University for Development Studies (1992), in Tamale. Total university enrollment was about 9,600 in the early 1990s.